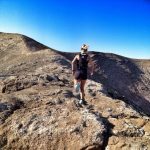 Thinking about where to do your first trail marathon? Go to Barcelona. If you are looking for a race where city meets trail, this is it. 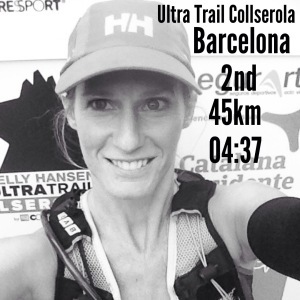 Ultra Trail Collserola. The city as your backdrop in the Collserola Park and the climate, although in the midst of November, perfect for running. A course (45k) that had some ups and some downs (+1700) and technical parts enough not to get bored, but never overwhelming or moments of “How I am I going to get through this?”. With three different distances 80k, 45k and 23k there is a race for the beginner to the more experienced trailrunner. 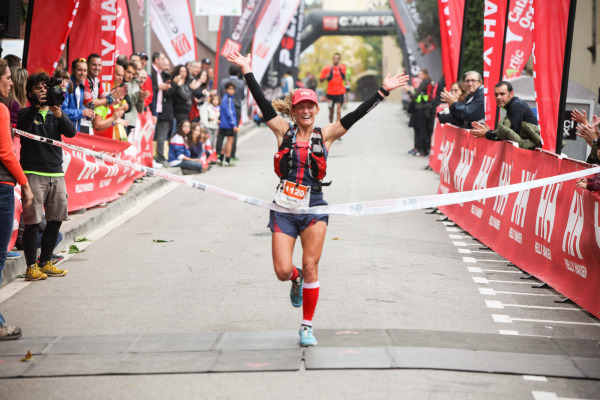 Helly Hansen ambassadors represented in each category the racestart was filled with anticipation and excitement, everyone happy to be part of this venue in the capital of Catalunya – Barcelona. What a great place to run in November. No rain, clouds protecting from sun and approx 19 degrees. A dream! Even better were the spectators cheering along the race course. All of it in Catalan, but thats the charm. You feel they are happy to have you take part of their beautiful Collserola. On the trails so many walking, biking or running but never interfering or overcorwded. This seems to be a popular place for the city person looking for nearby nature to explore. I understand why. The organisation did a great job. Friendly and helpful when picking up bibs to welcoming you across the finish line. The facilities were big and modern, with proper toilets and showers and even the luxury massage. Did I mention the friendly people? Im sitting here in Lanzarote overwhelmed and proud to have done my first marathon in Ultratrail Collserola. The result, 2nd female and 24th overall feels unreal. Canary Islands has taught me well. Thank-you all those involved in the race, for your hard work and effort and congratulations to the aprox 1500 fellow runners joining me this day. And to my fellow Helly Hansen Ambassadors – Confident when it matters!